The City is looking for comments for 195 Huntmar by August 15th. Relocation of the District Park to the east side adjacent to the school site. Reduction in units from approximately 1170 to 691. Should you wish to provide further comments on this application, please provide them to the undersigned by July 15, 2018. I also welcome any questions you may have. 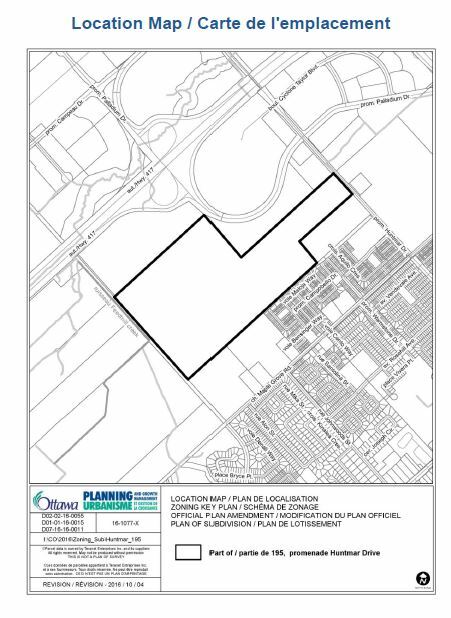 Please be advised that a revised Plan of Subdivision and Concept Plan have been posted on DevApps for the Shenkman/Cavanagh proposed development located at 195 Huntmar Drive (File No: D07-16-16-0011). A summary document of the changes made to the plan by the applicant has also been posted. The Public Meeting for the Subdivision Application will be held at the Goulbourn Recreation Complex (Hall A), 1500 Shea Road on Wednesday, January 10, 2018 starting at 6:30 pm. While we understand that the closure of Johnwoods is inevitable, residents still have a number of questions and concerns that must be addressed before the closure. Thanks to our neighbours who contacted us with feedback over the past couple of weeks. There have been requests for a delay to the closure and at this time there are no plans to delay the closure of the road. It is anticipated that this entire project will be completed by the end of June 2018. Some residents have requested an extension to the comment deadline for the design details of the park. The deadline for design comments has been extended until November 30th, 2017. Following the deadline of November 30th, comments will be consolidated and reviewed. Responses and any revisions will be posted in my eNewsletter. Residents have raised concerns with some of the road conditions in the area. Santolina and the portion of Rosehill within the Fairwinds West subdivision is complete with top lift of asphalt. 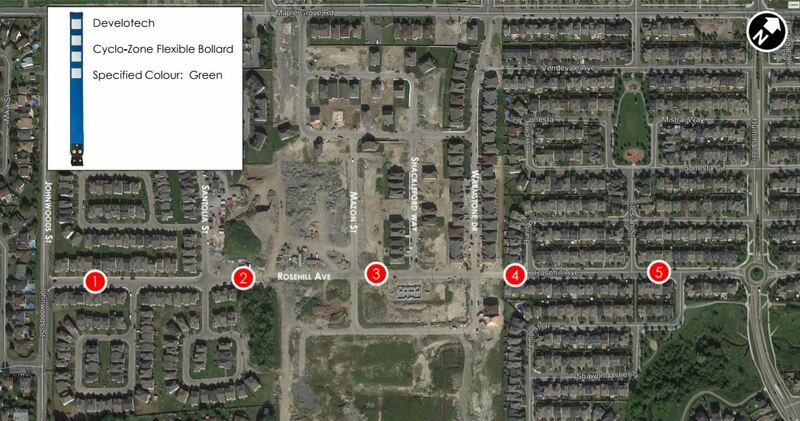 Top lift on the remaining portion of Rosehill is estimated for summer 2018 due to continuous work on the Poole Creek subdivision. The barricade on Rosehill will be open without the top lift being completed. A request has been placed with Tartan to help fix some of the potholes near Rosehill and Warmstone to provide a better driving condition. There have been inquiries regarding the classifications of roads in this area and on the map it notes that Maple Grove Road is a Major Collector Road and that the southern portion of Johnwoods and Rosehill are classified as Collector Roads. 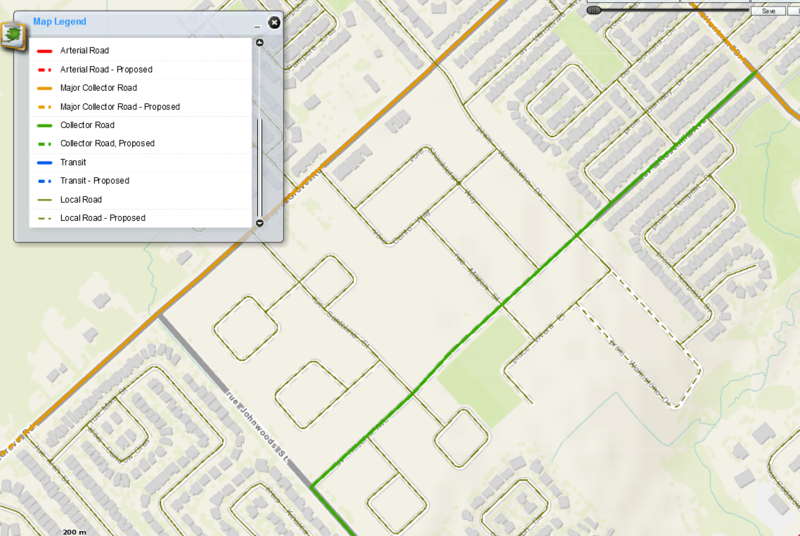 A reminder that an extensive list of all road classifications in Stittsville is available on the “Ward Maps” section of my website under the “Community” header or by clicking here. Rosehill and Santolina were designed to accommodate transit service and this was also noted in the purchase and sales agreements of the homes on these streets. Rosehill Drive will have traffic calming measures installed on the street. Please see the map available here, showing the location of the permanent and temporary traffic calming measures planned for the street. 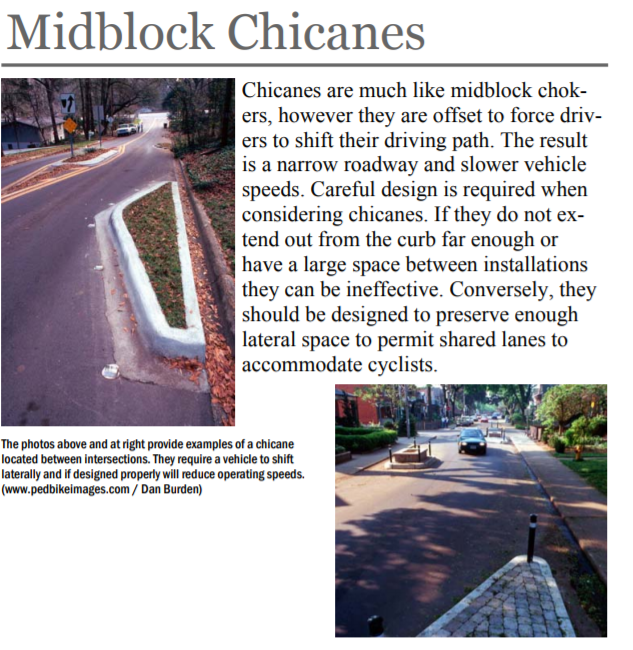 The long term permanent plan is to have traffic calming chicanes installed on the street. These will be installed once the entire street receives the top lift of asphalt in 2018. The final design for these is in the process of being completed and will be shared with the community once complete. In the interim, by November 8th there will be flex stakes placed in 5 locations on Rosehill Drive. These will remain in place until the snow falls this season and if necessary will be re-installed in the Spring 2018 before the chicanes are installed. Transportation staff are reviewing the traffic data submitted by the community. This data is being compared to the City’s existing data as well as data which I contracted to have done on the street. The City’s Transportation Department has also recently taken a traffic count during Ottawa Senators home games and this data is currently being processed. Portable visual messaging signage (PVMS) has been installed in a number of locations as of November 2nd to advise commuters of the road closure. The City’s mapping program will be updated and the City has also been in contact with mapping agencies such as Google Maps. Here’s an update from Councillor Shad Qadri about the status of the closure of Johnwoods / opening of Rosehill. Although his note doesn’t specify a date, we’ve heard mid- to late-November as a likely timeline. The plan is to turn the north end of Johnwoods (from Rosehill to Maple Grove) into a linear park with a recreation path. The concrete barriers on Rosehill would be removed, creating a continuous route from Johnwoods to the traffic circle at Huntmar. We believe these changes will lead to a significant increase in traffic in our community, particularly along Rosehill between Johnwoods and Huntmar. Our association has already voiced this concern to Councillor Qadri and city staff, and we’ve asked that appropriate traffic calming measures be put in place on Rosehill to lower the safety risk to our residents. It’s not yet clear if that will happen. As was noted to the community in the past, it is still the intention for this closure to be done this Fall. Working with my office, the planning department is preparing a communications package that will be mailed to all residents in the immediate area with further information on the project. The communications package will include pertinent dates and timelines regarding the project, the landscape plan for the area and a Frequently Asked Questions document. This information will be mailed out in the coming weeks to residents in the following areas: Bryanston Gate, Fairwinds West, Rosehill Drive, Johnwoods Street, Hartin Street and Joseph Circle. Prior to the closure, there will be signs placed in advance in a number of locations near this street and notice will be provided in my electronic Newsletter and in my column in the Stittsville News as well. In addition, I can advise that Rosehill Drive will be opened with traffic calming measures between Johnwoods to Huntmar before Johnwoods is closed. This is all the information that I have to share at this time. More information will be provided in the coming weeks to the community. 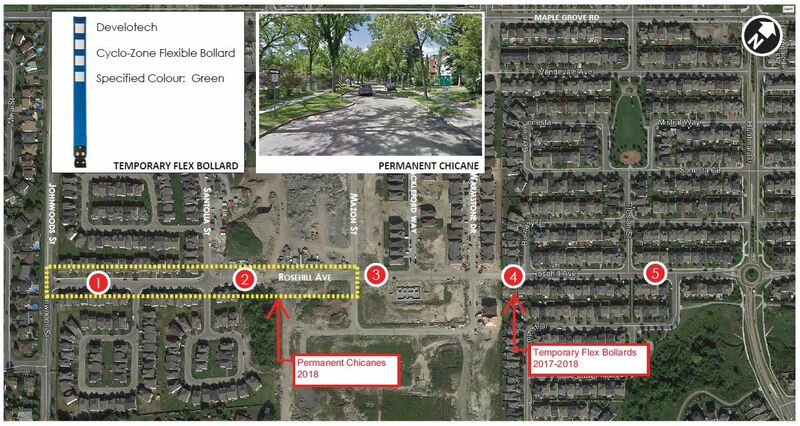 I would like to advise residents that from July 10-21st, Maple Grove Road will be closed from Silver Seven to Huntmar due to continuing Forcemain and Pump Station work. During this time, I encourage residents to plan their routes in advance and use the image below as reference for recommended detour.